I cooked this the other day as I had to use up joint of gammon that I had roasted. In our house we’d usually eat this in the winter, but my girlfriend had said she fancied eating lentils so I thought I’d do this. I know it’s August, but it was lashing it down outside so any ideas of a light summer salad were far from my mind! This ham, vegetable and lentil soup is a bit of a family tradition around Christmas time and tastes amazing – plus, it’s a great way to use up left over vegetables. With lentils counting towards your 5 a day, this recipe contributes 4 of the 5 and still tastes really good. Chop your onions and carrots and gently sweat in butter (in the pan you wish to make your soup in). You want to soften the onions but not cook them fully. Boil your water, add the two chicken stock cubes and add to the soup pan with the carrots and onions. Bring to a full boil. Add the lentils, keep boiling for 2 minutes then reduce to a soft boil. Chop up the meat of choice and add to the pan. Simmer this for 15-20 minutes or until the lentils dissolve away. A couple of minutes before serving, throw in a handful of peas or two and let them heat up. Check the seasoning (the meat is salty so you may only want to add pepper, but it’s up to your taste). 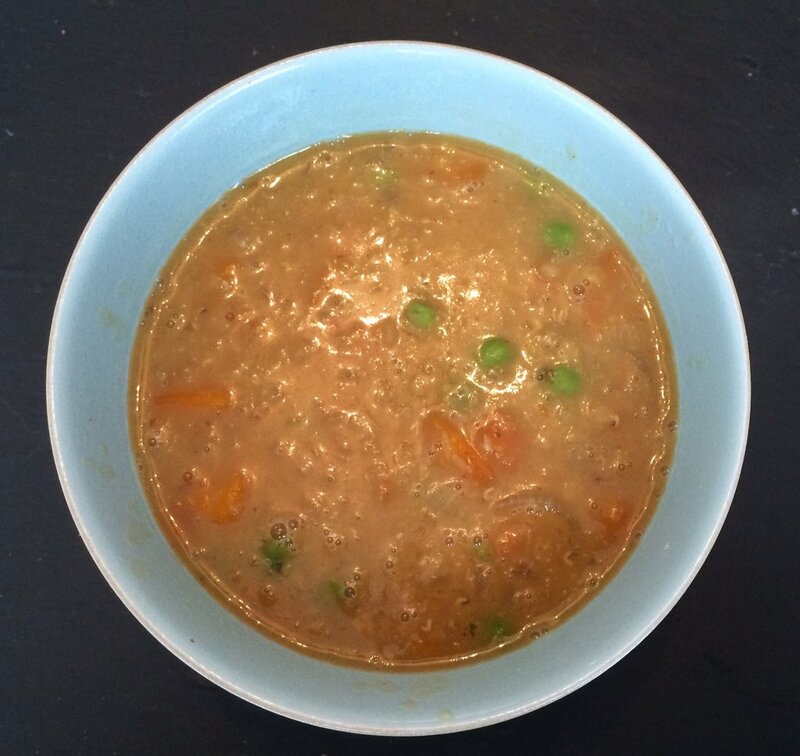 Enjoy your ham, vegetable and lentil soup, then feel smug that you are eating healthy food that tastes better than the cold, processed packet sandwiches your friends are choking down.